Attorney Frank V. Cesarone believes that passion and a proactive approach is the key to success in the legal profession. At every stage of litigation, Frank maintains an unwavering focus on his client’s best interests. $500,000 for a 62-year-old who suffered renal injuries due to the negligence of a gastroenterologist. Prior to joining the firm in February 2013, Frank gained civil litigation experience while working at a large South Carolina plaintiff’s firm, with a focus on asbestos-related multi-district litigation. Frank also worked as an associate at a small South Carolina personal injury law firm, where he litigated before the Social Security Administration and handled numerous workers’ compensation and personal injury cases. Frank attended DePaul University College of Law, where he focused his studies on litigation. As a student, Frank received the CALI Award for Excellence in Trial Advocacy II, Evidence, Criminal Litigation Strategies, and Criminal Appeals Clinic. He also spent extensive time volunteering, which earned him the Benjamin Hooks Service and Distinguished Public Service Awards. 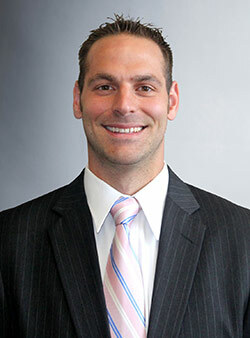 During law school, Frank gained trial and appellate experience while working with the Office of the State Appellate Defender and in the Felony Trial Division of the Cook County Public Defender. At OSAD, he worked as a supervised, certified, senior law student where he drafted an appeal to the First District Court of Appeals, sat second chair during oral arguments, and filed the petition for review with the Supreme Court of Illinois. In his time with the Public Defender’s office, Frank honed his litigation skills by defending individuals accused of serious felony crimes. He served as second chair in approximately twenty jury and bench trials and argued approximately twenty motions. Frank is licensed to practice in Illinois and South Carolina jurisdictions. Additionally, Frank has been admitted to practice in several other states pro hac vice. He earned his law degree from DePaul University College of Law in 2011 and his Bachelor of Science degree from the University of South Carolina in 2006. Frank is a member of the Illinois State Bar Association, Illinois Trial Lawyers Association, Chicago Bar Association, Kane County Bar Association and American Association for Justice.